The premise behind this puzzle game is that a professor destroys digital photos and needs help to put them together to solve what has happened. The player has to connect the numbers in the grid, which will create an image. Once the image appears, it will unlock a new puzzle. The game is highly addictive. 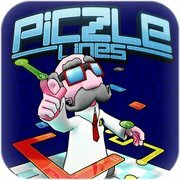 You can view the Piczle Line app trailer on You Tube. There is an in-app purchase for more puzzles. You can download this here. 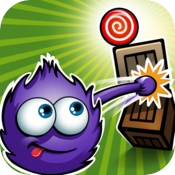 A cute – but not too cute – game that requires the player to help the little blue fuzzy guy to catch a piece of candy on every level. He uses his tail to grab onto things and then swings around trying to get the candy. 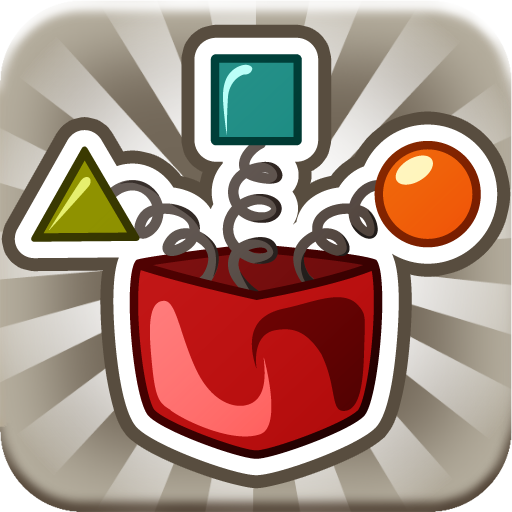 Unlike games geared toward young kids, this game requires some physics knowledge; you have to navigate around and use objects to obtain your goal. The first 20 levels are free and you can purchase more levels. You can download this here. 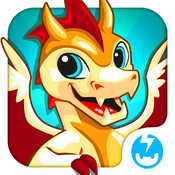 In Dragon Store: New Dawn, the player hatches, raises and breeds dragons on a magical island. You get to discover rare dragons when you breed them. Grow food and feed the dragons, then decorate the island with towers, flowers and more. Each dragon develops their own personality as they grow. The app features fantastic graphics and cool sounds. Keep in mind, you must have an internet connection to play. You can download this here. Most people – kids and adults – have oodles of pictures in their photo stream. 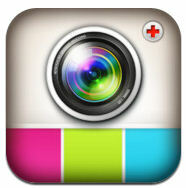 InstaCollage Pro allows you to combine multiple photos to make a beautiful unique collage. The options are endless – captions, 17 irregular frames and 46 regular frames to choose from. There are also 38 border selections, 18 photo effects, 40 fonts and 90 stickers. You can share your creation on Facebook, Twitter, Flickr, Instagram or send via email. You can download this here. Create one-of-a-kind paintings using 14 brush shapes. 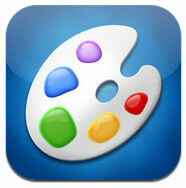 The brush options have adjustable settings and the app will record every step of your painting, to replay. You can save your work in Dropbox or you can post to Facebook or Twitter. If you change Apple devices, you can still access your work. The app is only single layer, but you can purchase 10 levels for $0.99. You can download this here. Have fun with these 10 free games with more than 3,000 levels. Games include puzzles that have you fill containers with water, but cannot spill any to one where you put your arithmetic skills to good use. Share your achievements on Facebook and Twitter. You can also purchase more games within the app. You can download this here. This adorable cat may look a little juvenile, but it is fun for all. Ginger needs your help to get ready for bed and you need to help him shower, blow dry his hair, and brush his teeth. Ginger will repeat everything you say in his adorable cat voice. He will also react when you tickle, pet or poke him. The app allows you to record video of Ginger and share on Facebook or You Tube. You can download this here.